Now that I'm a grandma and those three daughters have grown and gone — and added a few beloved grandchildren to our family tree — talking to the kiddos about marijuana use isn't so much the open-and-shut case it once was. Colorado adults 21 and over can now legally use marijuana for recreational reasons, not just medicinal. They can even purchase brownies, cookies, and candies that are far more enticing to youngsters than an icky-tasting joint, bong, or bowl of days gone by. Threatening kids with the long arm of the law no longer works when it comes to discussing marijuana avoidance, especially if trusted adults in their lives are toking up or nibbling edibles themselves. Education does work, though. Or at least helps strengthen the case when talking to kids — and grandkids — to prevent underage retail marijuana use. Starting the conversation is key, despite how awkward or difficult that may be. Kids must understand the consequences affecting their health, their grades, their social interactions, their futures, dreams, and goals. Parents have the most influence in the lives of their children and are the strongest line of defense when it comes to continually communicating key points regarding underage retail marijuana use. 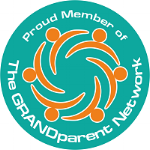 Grandparents, though, can be a strong supporter of the cause as well, a back-up for those critical conversations. How can grandparents — and parents — be confident they're sharing accurate info based on facts and not fear or old wive's tales? The Colorado Department of Public Health & Environment has developed the Good to Know Colorado website to provide caring adults all the crucial information and educational tools necessary to urge youth to make healthy choices when faced with the opportunity to use retail marijuana. The Good To Know Colorado campaign stresses that knowledge is power. It's up to the trusted adults in children's lives to become knowledgeable about underage retail marijuana use and then share that vital information with the little ones they love. • Maintain an open line of communication to allow youth to ask questions any time. • Alter the conversation as the child gets older. Age-specific conversation tips can be found here. When my daughters were young, I found one simple way to keep the lines of conversation open was to share a blank journal, one per child, because sometimes it's easier and less confrontational to put things in writing rather than say them out loud. So I encouraged each girl to write any concerns, questions, fears, and such about anything (not just marijuana use) in the journal, then place it under my pillow at bedtime. I'd then respond in the journal and place it under the girl's pillow in the morning. It helped get us through some important "talks" without ever saying a word. • It can take up to four hours to feel the effects of marijuana edibles, and they can last up to 10 hours. • Minor in Possession charges can cause a student to lose financial aid for college, even outside Colorado. This includes Perkins Loans, Pell Grants, Supplemental Educational Opportunity Grants, PLUS Loans, and Work-Study Programs. Take the steps to inform the beloved children and grandchildren in your life about underage retail marijuana use. The first step begins at GoodtoKnowColorado.com/talk.